With software updates, you can keep your followers informed of new developments in your projects. Using markdown, you can create any kind of update, ranging from simple to in-depth posts about new features. 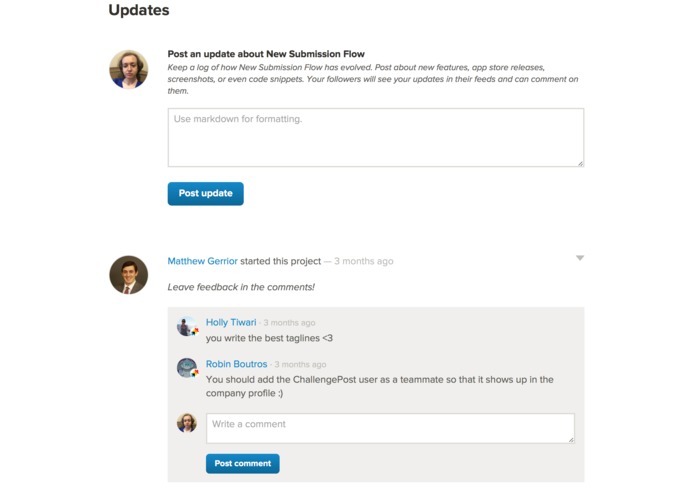 You and your followers can also comment on updates, generating discussion around each part of the process of developing your app. I don't know Backbone that well, so I had to learn and follow along. I pair programmed a ton on this feature.